Rosaries that have been blessed by the pope are also available on request. A papal blessing, also called an apostolic blessing, is a blessing performed by the pope for a special occasion. 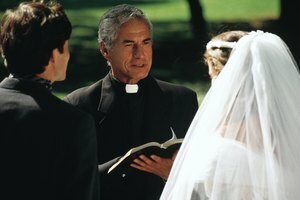 Occasions that may be marked by a papal blessing include weddings, confirmations, baptisms, birthdays and anniversaries. The request for a blessing is brought to the pope, who speaks the blessing. A certificate stating that the pope imparts a blessing is sent back to the person requesting it. Most Catholic dioceses process papal blessings through the Office of the Chancery. A representative from this office will guide you through the process. Plan for your papal blessing three to four months in advance. Papal blessings are not granted for events that have already taken place. Paperwork and processing of the certificate take time. Contact the Office of the Chancery for your local Catholic diocese. They will help you choose a certificate design and will provide you with paperwork that needs to be filled out. Fill out the paperwork. You will be asked for the occasion for the blessing, the date of the occasion, the full names of the people receiving the blessing, the diocese of the person receiving the blessing and the address to which the certificate should be mailed. Ask your parish priest to write a letter on official stationery confirming that the person being blessed is a Catholic in good standing. He should also affirm that the wedding, baptism or confirmation being blessed will be conducted in a Catholic church in a valid ceremony. If he needs additional information about how to write the letter, refer him to the diocesan Office of the Chancery. Write a check for the certificate. The check is not for the blessing. The check is for the certificate; however, the agencies that create the certificates usually donate the money they make to charities that support the poor. Your diocese will tell you how to make out the check. Mail the request for a blessing, the letter from your priest and the check to the address provided by your diocese. Some dioceses have you send the application directly to Rome. Some collect the application and send it for you. Unless you request otherwise, your certificate will be printed by machine. If you want a hand-lettered certificate, they are available through the Servizio Assistenziale del Santo Padre. These certificates, which are hand-lettered by Carmelite nuns, cost more. 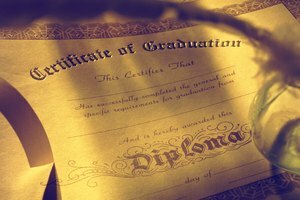 While printed certificates typically take three to six weeks, hand-lettered certificates sometimes take a full three months or more to arrive. Your diocesan offices can help you direct a request for a hand-lettered certificate to the correct office in Rome. If your diocese is unable to help you obtain a papal blessing, you can contact the Office of Papal Charities in Rome. The phone number is 39-06-69883135. If you are not Roman Catholic, you are not eligible to receive a papal blessing. Papal blessings are also denied to animals, the dead and inanimate objects. 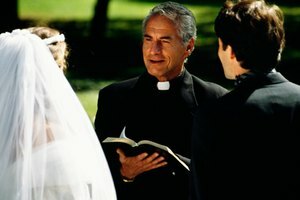 You may not request a papal blessing for a professional occasion such as a retirement. Because the Carmelite nuns who letter the certificates are often working in a foreign language, errors are not uncommon. You can send the certificate back, and the Carmelite nuns who created the certificate will fix it free of charge if the error was theirs. If the error was yours, they will ask you for return postage. Make sure to allow plenty of lead time when requesting the initial certificate to allow for the possibility that you will need to get an error fixed. Peterson, Susan. "How to Obtain a Papal Blessing." 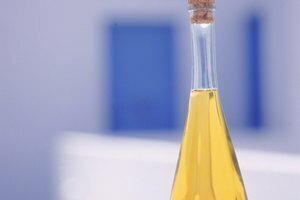 Synonym, https://classroom.synonym.com/how-to-obtain-a-papal-blessing-12084802.html. 29 September 2017.